Joshua Davis is an award-winning multimedia journalist and documentary videomaker. 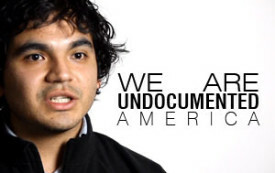 He produced The Undocumentary, a multimedia project about the immigrant rights movement. The project received multiple honors in the 67th College Photographer of the Year Awards, and it was recognized in the 2012 FotoWeekDC International Awards Competition. Joshua is currently working with MediaStorm after earning his master's degree in journalism from UNC-Chapel Hill. He has also produced work for the New York Times, RollingStone.com, PBS Frontline, and Arte. You can watch his videos here. Against the backdrop of record deportations, undocumented activists outline what it would take to make immigration reform both comprehensive and meaningful.